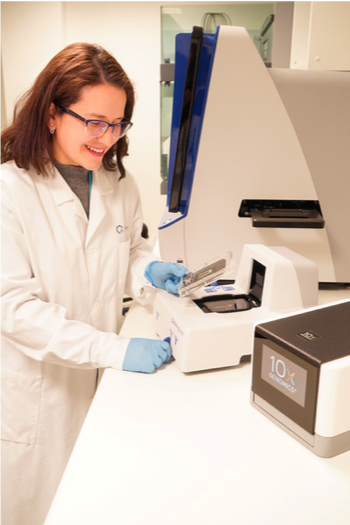 The Genomics Core Facility has recently acquired new instrumentation, the ChromiumTM(10X Genomics) and RhapsodyTM(BD Genomics) enabling Single Cell Sequencing and sequencing of Artificial Long Reads. The equipment allows processing of thousands of single cells for downstream genomic applications. DNA and RNA from each single cell can be barcoded and further investigated using high-throughput sequencing.